From 1990: If you read one TWIN PEAKS book back-in-the-day, the chances are in was this one: Jennifer Lynch's THE SECRET DIARY OF LAURA PALMER. 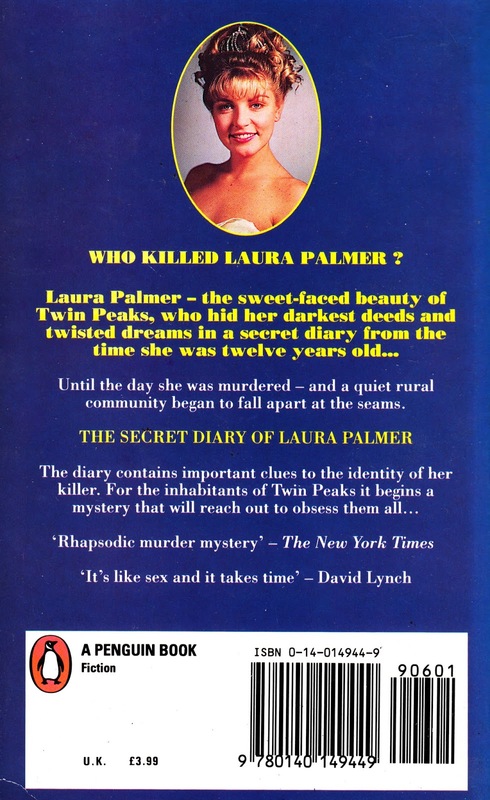 We've become accustomed to media tie-in books that are, at best, a competent retelling or extension of the screen version... or often fall some way short... so this paperback was (and is) a refreshing change: it really does feel like an extension of what we were being shown and told on screen. I couldn't swear now that it exactly mirrors what we saw on screen... and it was published before FIRE WALK WITH ME was conceived and shot... but it certainly seemed to mesh fairly seamlessly at the time. Quite an achievement considering David lynch seemed prone to making big creative decisions on-the-fly. A result no doubt helped by the fact that it was written by Lynch's own daughter. 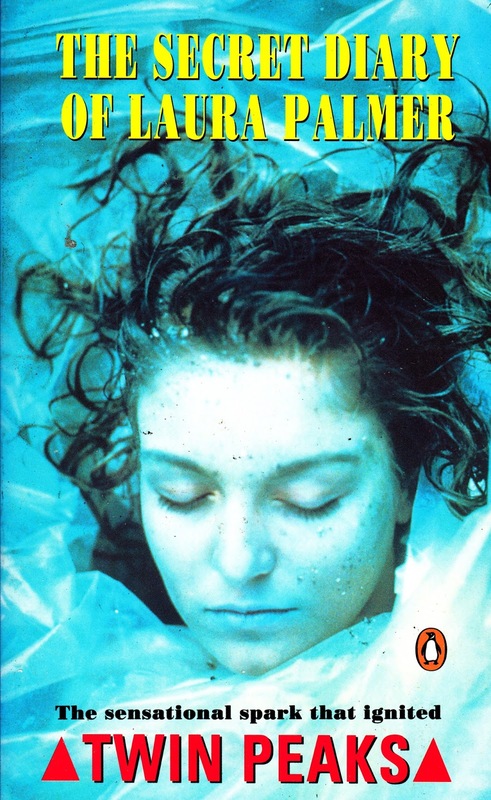 This is the UK edition. It's recently been re-released with a new cover design.